ARE YOU A SOCIAL GAMER? With so many social networks available through the internet nowadays, you can practically find a steadily increase in the number of social games almost in any site you pop in. Social games are becoming a key aspect in people’s lives. About 60% of the social network users had at least got themselves involved in a social game, with more than two thirds started at the beginning of last year. Most of the social gamers were introduced through the mode of heavily promoted advertisements within the social networks, followed by a substantial numbers being drawn in by their social network friends. From a survey, it was learned that two thirds of the social gamers play at least 2-3 games per week. 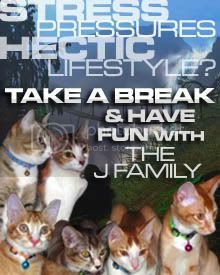 One third of them play at least a game daily with a quarter of them logging into their game account several times daily. Surprisingly, those golden aged group surpassed the teen and middle aged group in social gaming. I guessed they have more time in hand after retiring from their jobs. Amongst those social gamers, 70% of them are playing for fun or to kill time, 25% of them play to compete with friends while one fifth plays to relieve stress. From the current trend of social gamers, it looks as if social games would be here for a long time since there’s a significant growth in the computer games development market within these few short years. This is becoming a reality as no matter where you go, whether in subways, colleges, offices or homes, you can easily spot people playing social games on their laptop computers, tablets or mobiles. 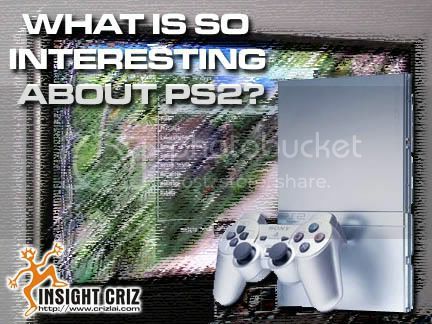 WHAT IS SO INTERESTING ABOUT PS2? I have my nephew and nieces coming over this weekend but I have one major problem. How am I going to entertain them? My house has no children board games. Neither do I have any toys for them to play with. Letting them use my computer for playing online games will surely be out of the idea as I have all my work backups there. One wrong move and all my lifetime work would be gone. Maybe it’s time I should consider purchasing a Sony PS2 for the house. At least I can relax myself by playing one or two games too when I felt stress at work. Did you know that the Sony PlayStation had advanced so much that it has multiple functions now? You can anytime use PS CDROM, PS2 CDROM, PS2 DVDROM, or play Audio CD. On top of that, you can also play DVD Video where it is in DVDR or DVDRW formats. Isn’t it wonderful to have the all-in-one gadget in the house? I wonder what PS2 games are available in the market now. I think I should get Half Life since I have not been playing the game for ages. Cabela’s Big Game Hunter and UEFA EURO 2008 might be fun to have too. I guessed I should head down to town now to get the discs before the shop closes.